It is something just about everyone with a pet has done at least once. Putting a pet into the car and driving with them lose in the vehicle happens all the time. Only about 17 percent of pet owners use a pet restraint system, but a loose pet can be as distracting as texting and driving. Having a loose pet in a vehicle is risky for many reasons. A pet loose in a vehicle can, according to a 2008 AAA study, be as distracting as texting and driving. Over 80 percent of drivers have had a pet in their car, unrestrained, at some point — and that is dangerous. Should the driver get into an accident, the pet could be thrown out of the vehicle, or become a projectile that could cause serious injury. With an unrestrained pet, there is almost no situation in which the pet and the driver would not be injured or killed in the case of an accident. 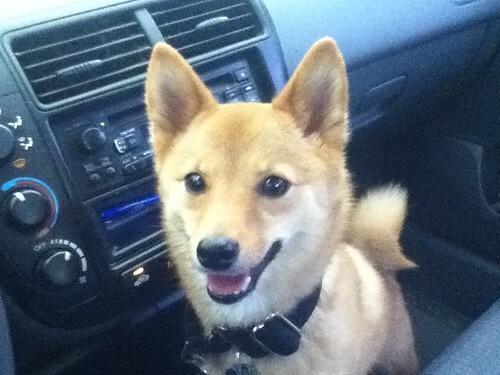 There are several options for pet seat belts available commercially. The most basic systems simply clip into the pet’s collar and attach it to the seat belt restraint system. In an accident, these collar-clip systems will keep your pet in the vehicle, but they can often cause serious strain on your pet’s neck, causing bruising or worse. Full harness systems are much safer, and can be used either with a harness that your pet already wears or a harness designed for that purpose. Harnesses are sized according to the weight of the animal, and should be sized correctly. If putting your pet into a harness seems unrealistic, there are several other options for restraining your pet. Dog booster seats are great for smaller pets, and give your pet the chance to look out the window while the world goes by. There are also commercial nets and barriers that separate the front and back seats, which keep your pet in the backseat without clipping them directly into the seat belt system. There are also cage restraint systems that lock a cage or pet carrier into the seat belt system, so your pet can be in a comfortable, familiar place without being physically restrained.